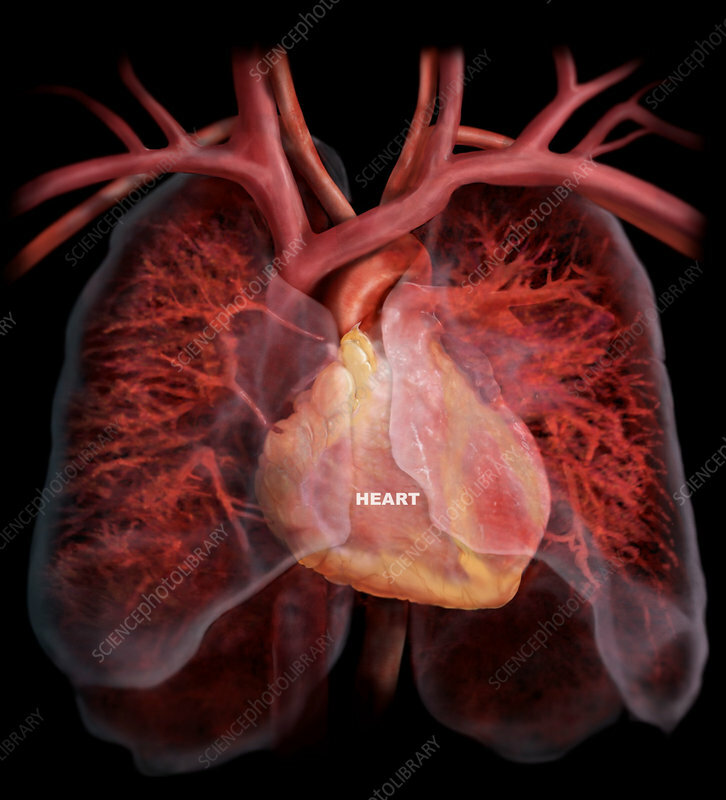 Medical visualization of scanned human data showing the heart, lungs, bronchi, and pulmonary vessels. Air is carried from trachea to the bronchi to the bronchioles, which are small branches of bronchi within the lungs. At the end of every bronchiole is an alveolus, which is a small sac that allows for gas exchange within the circulatory system. De-oxygenated red blood cells are sent by the right side of the heart through the pulmonary artery into the vessels of the lungs to be refilled with oxygen for their next circuit through the body. The blood is carried through the lung tissues, where it exchanges its carbon dioxide for oxygen in the alveoli. It is then returned through the pulmonary veins to the left side of the heart and sent out to the rest of the body. The pulmonary artery carries away the deoxygenated blood, which returns fully oxygenated through the pulmonary vein.